Shop For Row By Row Experience Items! 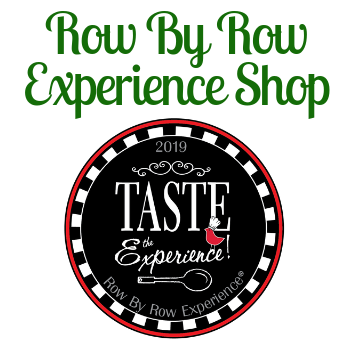 The 2019 theme for Row By Row Experience is "Taste The Experience". We've been busy cooking up our row - here's a sneak peek! 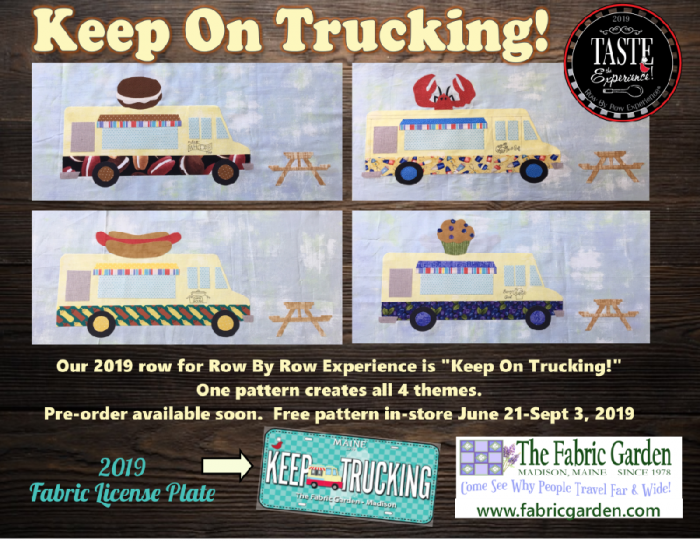 Our 2019 row for Row By Row Experience is called "Keep On Trucking", with a fun food truck theme. The fun part is that our pattern will make FOUR different themes: Lobster, Blueberry, Hot Dog and Whoopie Pies! We'll also have a limited supply of kits available for all 4 themes. 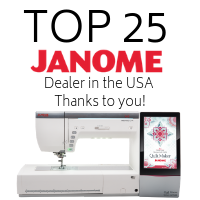 Stop in for your FREE pattern from June 21, 2019 thru September 3, 2019! Can't make it in? We'll have pre-order available for our 2019 Keep On Trucking patterns and kits, which will be shipped November 1, 2019. Here's a sneak peek at our 2019 row for Row by Row Experience, "Keep OnTrucking"
We have the new 2019 Row By Row fabrics in - they're fantastic. 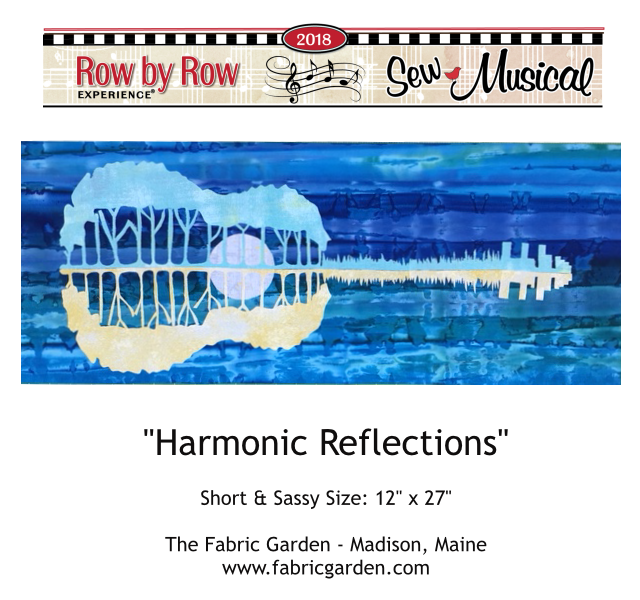 Travel to participating quilt shops & pick up free row patterns! 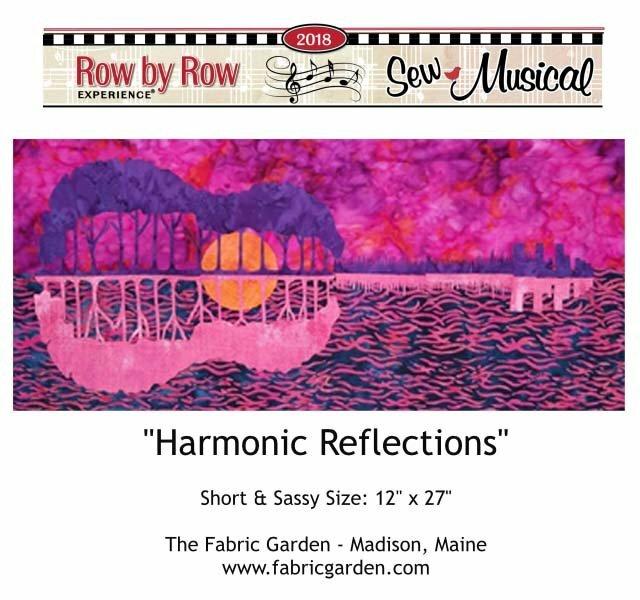 Row patterns and kits may be purchased in-store only. 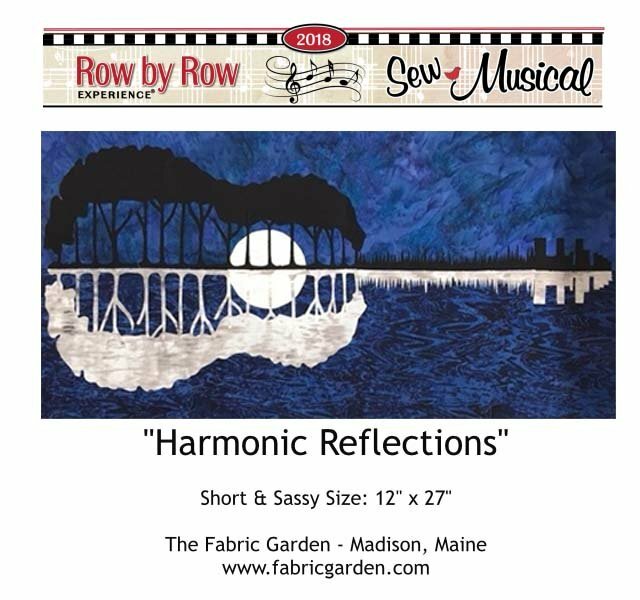 Row patterns and kits may be purchased in-store or online or however you wish. 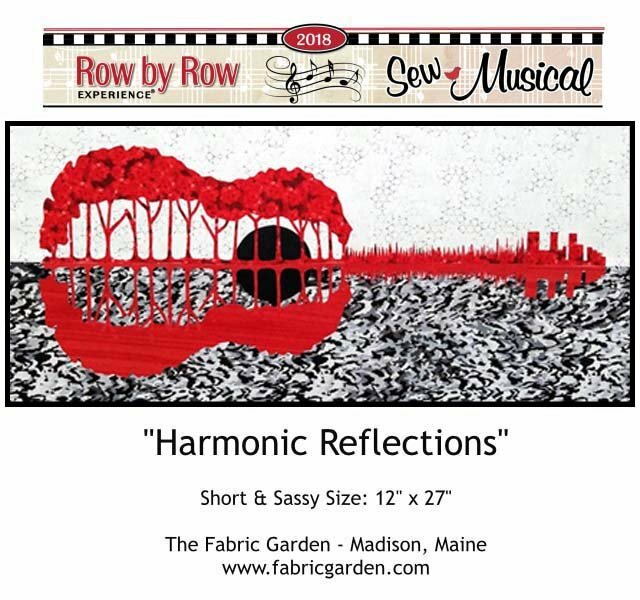 The 2018 Row by Row Experience theme was "Sew Musical". 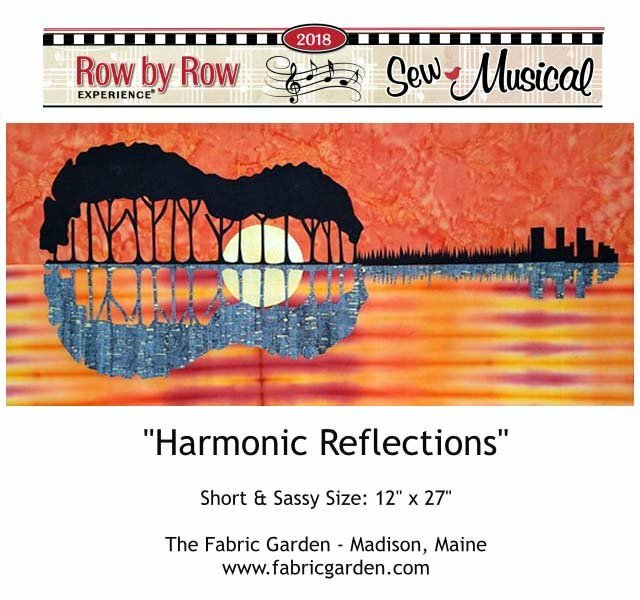 We created "Harmonic Reflections" for this musical theme. Can you see the guitar? We went with the "Short & Sassy" size: 12" x 27". Row kits and patterns for our 2018 row are available here. 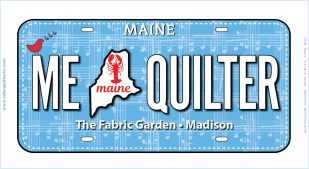 And here is our 2018 Fabric License Plate: ME QUILTER. ME is the 2-letter abbreviation for "Maine", but it also describes most of us... Me, Quilter!